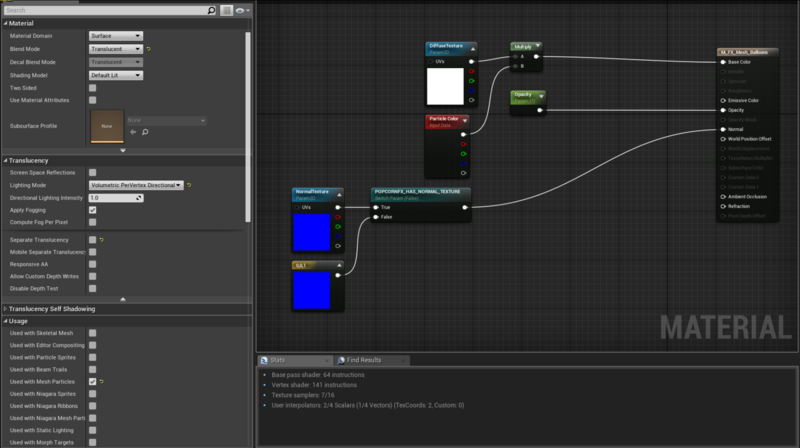 I'm working on a particle that emits meshes that have translucency on their material. Now the issue that has come to my attention is that regardless of the translucency value the sorting order of the meshes does not stay consistent. (04/04/2018) Edit: This issue also happens on 2D particles too almost clipping. Translucent particles for billboards and ribbons are sorted on CPU, of course overlapping quads might flicker but sorting should be correct. For meshes though it is not implemented as the only materials exposed in Pk-Editor are additive (no need for sorting), solid and distortion. No real reason except that we never really tried to render meshes with a translucent material in UE4. Is there a reason why a Masked material wouldn't work instead of translucency for this effect ? If really that would be a need on your side, we can discuss implementing that in the plugin. Thanks for getting back to me there is no real reason why I am using a mesh this was me testing a theory on using the particle effect with ue4's materials on seeing how far I can take this. 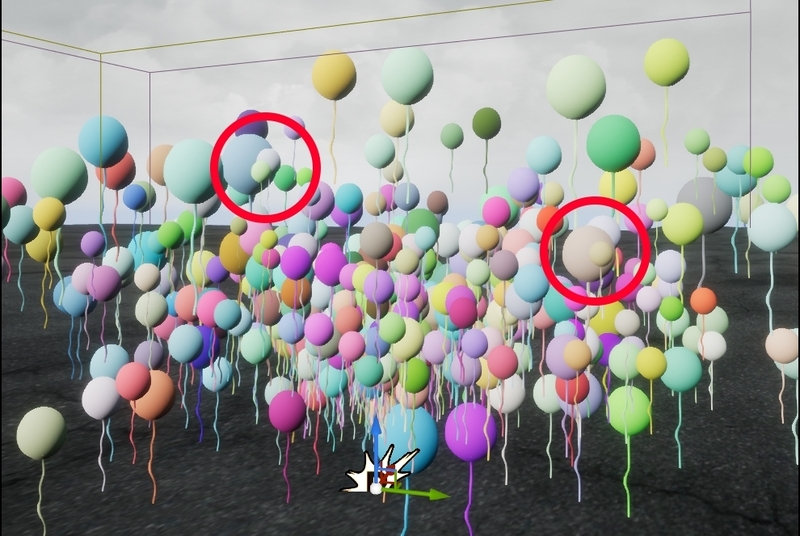 My goal was to try and create a balloon particle that would look as though a light was passing through it at any angle, my idea was that using a mesh with a translucent material would help.